Everyone likes to have fun. Romaco's Slot Machine is a virtual slot machine game that allows you to have fun without losing any real money. 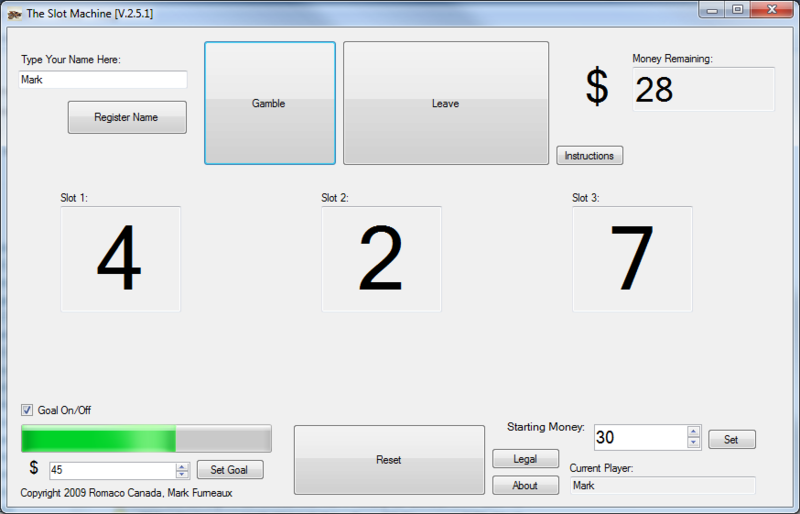 It features slot pull animation, goal setting, and more.